(TibetanReview.net, Jun03, 2017) – A seminar on Tibet was held in the Swedish Parliament building, the first of its kind at this venue, hosted by the recently formed Swedish Tibet Friendship Association in Swedish Parliament and supported by the Swedish Tibet Committee and the Tibetan Community, said a statement Jun 2 by the Office of Tibet, London. The statement said those who attended the seminar included eight Swedish Parliamentarians representing different political parties. The MPs who attended the seminar were stated to include Carl Schlyter (The Green Party), Tina Acketoft (The Liberal Party), Caroline Szyber (The Christian Democrats), Kerstin Lundgren (The Centre Party), Sotims Delis, Björn Lundberg and Charlotte Quensel, besides Ms Margareta Cederfelt, the Chair of the Swedish Tibetan Friendship Association in Swedish Parliament. The seminar was held to apparently discuss the current state of the issue of Tibet and ways to move it forward. The guest speakers at the seminar were Ven. Thubten Wangchen, Member of the Tibetan Parliament in Exile from Europe, and Ven. Golog Jigme, former Tibetan political prisoner under Chinese rule. 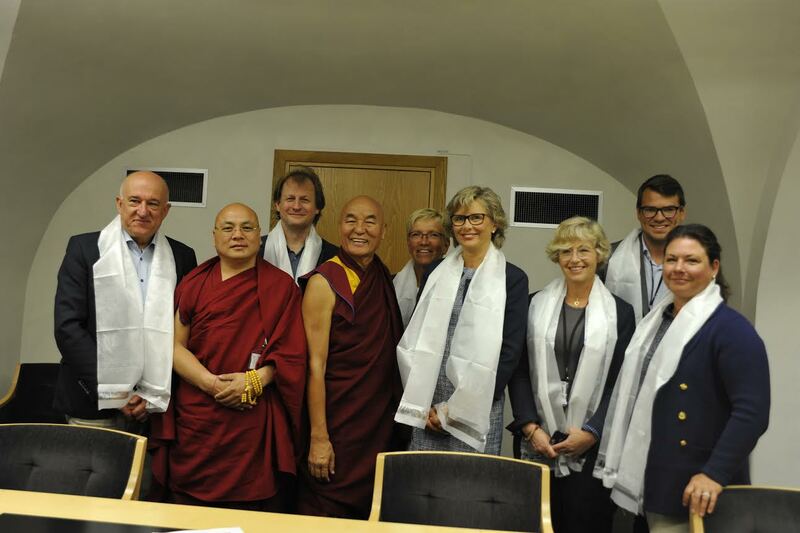 Jamyang Choedon, the Vice-Chair of the Swedish Tibet Committee, has said the seminar was the first of a series of events to be held this year which marks the 50th anniversary of the founding of the Committee.